Usually the process of encrypting files takes at least a few seconds so we were suspicious when this malware claimed to achieve this so quickly. We were doubtful as to whether any encryption was actually taking place at all. Running the malware through a debugger and analysing its behavior confirmed this doubt. This causes the above message to be shown on the screen at boot time and renders the operating system unbootable. 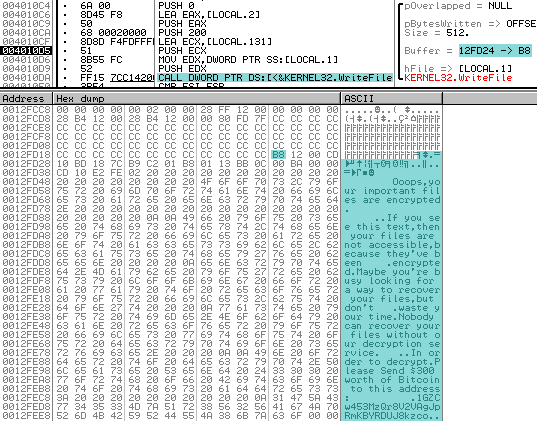 There are no other file or encryption API functions present in the malware executable.